Time’s Up for Clock New Mills: Hazel Wins Her Prize! As winter starts to take its hold, it’s nice to reminisce about days spent on the hills as some of us were diligently clocking off the viewpoints that made up Clock New Mills. 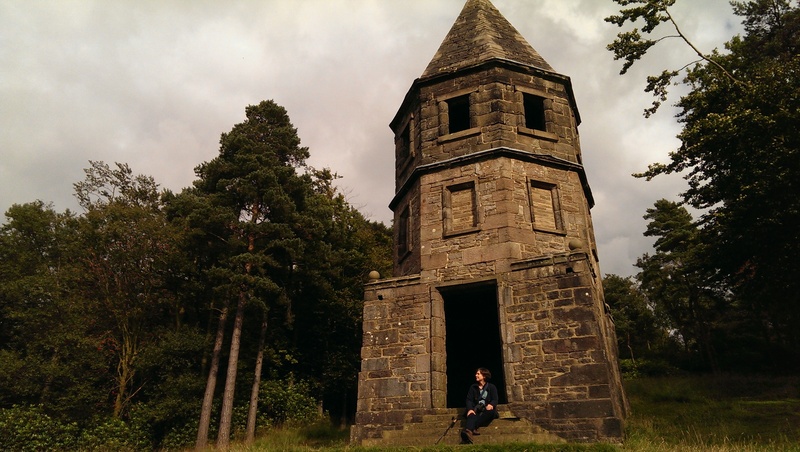 It felt a joyous activity – a chance to revisit some familiar places, perhaps from different angles, and an opportunity for unexpected and less well-trod sights, such as The Lantern in Lyme Park. And the total money raised was £406.25, including Gift Aid. We’d like to thank everyone who took part. For those of you who were paying attention, we offered two prizes for the whackiest and most challenging ways of clocking New Mills and a further prize for the most money raised. We didn’t feel anyone quite deserved either of the first two prizes but Hazel Ashworth (aged 6) put in a fantastic performance to raise £125. So very well done indeed to Hazel – she gets a free meal at Simply Indian. We would like to run Clock New Mills again in 2014 – if you have any comments about how it may improve or what it would take for you to join in, please do let us know. Meanwhile, as we finish off the remains of our Christmas meals, everyone involved in Transition New Mills would like to wish all our members and supporters a happy, healthy and peaceful 2014. Special thanks go to the Clock New Mills team of: Judy Daborn, Jacqui Gadd, Karl Sinfield, Maggie Cole, Alex Bond and Mike Daw for making Clock New Mills possible.